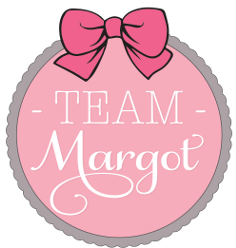 I am one of Margot’s Aunties and a co-founder of Team Margot. Yaser has mentioned me in various blog posts, but I prefer to work behind the scenes, that is unless I’m presenting to a school assembly. I have been presenting to school children for just under a year and have so far delivered talks to over 3,000 students from reception all the way up to sixth form. Essentially, I have two Team Margot presentations, one for primary and one for secondary schools. They are delivered in an age appropriate way, using simple language and analogies for the younger children, and including more facts and figures for the older children. Initially, I started out doing these school presentations as mini-promotions for upcoming donor registration events. We were pleasantly surprised to learn that the children would go home and deliver the key messages clearly and on point and then encourage their parents to attend the donor registration event and register. 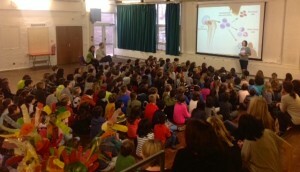 More recently, they tend to be standalone presentations, finishing with a summary of what Team Margot is about and importantly, what the children can do to help, in spite of being too young to register as potential stem cell donors themselves. Despite my original nerves and worries that I wouldn’t hold the children’s attention, quite the opposite has transpired. At every school assembly that I have attended, the students listen intently. My first slide is a photo of Margot, which I believe helps to win them over immediately. At the end of each presentation I open up the floor to questions and although the younger children sometimes ask very funny or cute questions, most questions raised are thought provoking and insightful, which in some cases take me by surprise. After the presentation, every child is given a Team Margot wristband and some information on a postcard to take home. 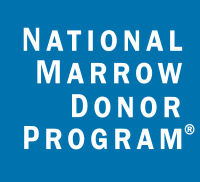 I believe that no child is too young to learn about stem cell / bone marrow donation (for the record, these terms are interchangeable, they just describe the method of collection). This also goes for blood, platelet and organ donation too. The idea is simply to make young minds conscious and aware of these issues. Provided we inform children in an age appropriate way then hopefully, when they are old enough to donate, they will do so more readily than they might otherwise have done. The overarching theme is about “giving to help others”. Giving stem cells / bone marrow, giving blood and platelet donations. They all quickly replenish and can be safely donated to potentially help save someone else’s life. These are selfless and benevolent acts of the socially aware and are small sacrifices that many of us can make to help someone else,. Importantly, for the most part it’s someone we don’t know. 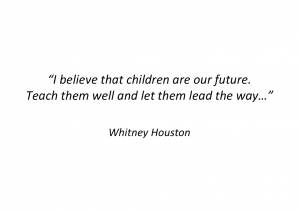 “Giving to help others” fits perfectly within the PSHE (Personal, Social, Health and Economic) education a.k.a. environmental social responsibility teachings of today. And dare I say it, what a great thing to put on your CV ! 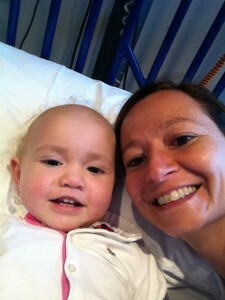 I’ve also discovered that children are great ambassadors for Team Margot. Instinctively, they feel that they want to do something to help and so I ask them to help Team Margot continue to raise awareness of the need for more stem cell donors to register. 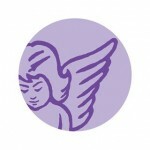 They are empowered to make a difference and potentially save someone’s life by spreading the word. It’s immediately gratifying for them to know that there’s something socially good and responsible that they can do today, to help others. Team Margot is working towards getting the ‘Giving to Help Others’ theme accredited by the National Curriculum. We are talking to Head Teachers at various schools as well as lobbying MP’s with a view to enlisting the support of the Secretary of State for Education to help us achieve this goal. If you are interested in delivering a Team Margot presentation to a school in your area, we are happy to share our presentations with you. Alternatively, if you would like me to visit and present at a London school, then please first talk to the school’s Head Teacher to get initial approval and agreement before introducing us over email (nadia@teammargot.com). We believe that these Team Margot assembly presentations are just the beginning of something hugely meaningful, which will benefit all of society.